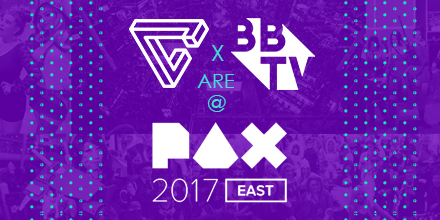 BBTV and TGN are taking PAX East by storm. Follow along as the #BBTVFam attend one of the biggest gaming events of the year. Follow @broadbandtv and @TGNtv for updates on your favorite creators. 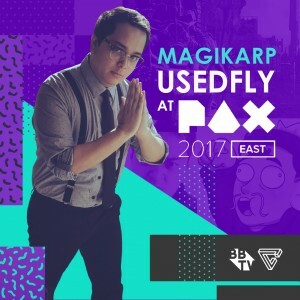 We interviewed Magikarpusedfly (Matt Castro) to tell us a little bit about him and what he’s looking forward to doing at PAX East 2017. For viewers who aren’t already familiar with your content, what is your channel all about? Tell us a bit about yourself. My channel mostly consists of league of legends content along with vlogs. My most known videos are a series called ACTUAL Spotlights that center around giving honest reviews about certain champions in league of legends and also about other games. I’m hoping to branch out and do more spotlights on various games that I play. How did you get started on YouTube? What was your inspiration for starting a channel? YouTube kind of fell on my lap – I made a video as a fun little joke for myself taking inspiration from AVGN and it took just off in the league community. Ever since then I’ve just been pushing out content and the series leading me to where I am now. What has been the biggest change in your life since becoming a YouTuber? Being able to live freely and happily while also being as creative as I want. Also not worrying about what I have to wear to work is a pretty big bonus. What’s your favourite video (that you created)? Either my League Anime video or my Cabo vlog. The league anime video is something that I’m proud of just because it was something that I haven’t seen anyone else do in the league community. For me, that really stands out as being original and creative. The Cabo vlog however also showcases what I love to do, which is to film and make videos with an actual camera and not just gameplay. Thanks for all your support and help getting my channel to where it is today. I wouldn’t be here if it wasn’t for them and even if I don’t upload for a while, you can bet it’s because I’m working on something day and night that I know you’ll enjoy. Is this your first time attending PAX? This will be my second time going to PAX. The first one I went to it was extremely fun so going again this time around now that I have my feet wet with what the convention is about – I feel a lot more comfortable walking around and trying out different games. What are you most looking forward to seeing/doing at PAX East? Playing all the indie games! The big company games usually have a long line and takes a while for me to even get into playing a game but the indie ones are really fun without many lines and you can usually find a pretty good if not great game that no one else has but get a lot of time to play it. Also seeing all the props companies use to promote their games are awesome! Join up with the world’s largest creator community.